Taxus media Citation is a vigorous, vertical growing yew with long velvet green foliage. The base of the tree is rather narrow, but it tapers out to form a straight-sided, flat-topped plant that requires very little shearing to keep its form. They are female and do berry, heavily when stressed by adverse conditions. We were very proud recently when the Missouri Botanical Garden honored Citation with their Plant of Merit(r) distinction. Taxus media Majestic has the same history as the Citation. It does have a Majestic growth habit, it wants to reach right up to the sky! It's a faster grower than Citation, but it does share many of the same characteristics. Its long green needles hold their winter color a little better than Citation, and it also produces red berries. Both the Citation and Majestic make beautiful hedges or striking specimen plants. We started selling these in B&B grades in the mid 1970's; thus we trialed them about 30 years before getting these trees on the market. That sort of patience in introducing new plants is hard to find these days! 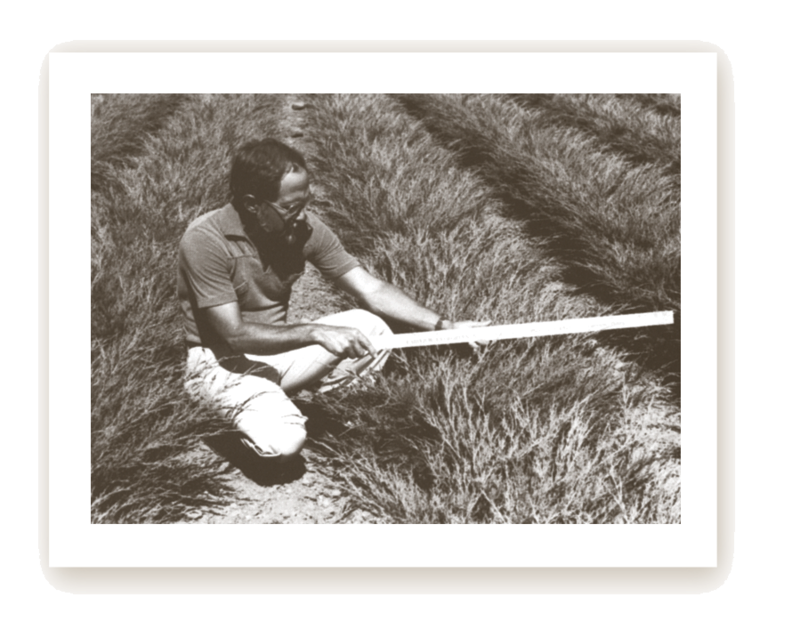 In the early 1930's, we purchased 100 Juniper californica seedling liners from a grower in California. All the liners except one proved to be not hardy in our zone 6 Pennsylvania climate. We will probably never know how this one plant, the original Juniper chinensis Glauca Hetzi, came to be among these liners. Perhaps the seedlings had been cross-pollinated by some nearby Juniper chinensis, or perhaps this one was actually a Juniper chinensis seedling that was mixed in. Maybe it was just a mutant Juniper californica. When the plant was examined by experts in Holland later on, they identified it as a chinensis, or Chinese Juniper. We found that the plant could be readily propagated from cuttings in our greenhouse. At one time we grew 50,000 annually. Known in the trade as Hetz Blue Juniper, the plant is a vigorous, arching spreader with steely blue foliage. Left untrimmed, it will grow to be 15 to 20 feet wide and 10 to 12 feet tall. Fortunately it takes to shearing very well and can be used in a confined space if trimmed seasonally. It will grow nicely almost anywhere in the US. Fairview Evergreen started propagating Juniper chinensis Glauca Hetzi Staked as the fastigiate form of the Glauca Hetzi in the late 1960's. There had been some more upright growing forms of the Glauca Hetzi among our liners for many years. Since we have to stake them to get them to grow upright, anything with a more upright habit of growth will be easier to grow. We selected what we thought was the best of the upright types and started to propagate it for our Staked upright Glauca Hetzis. The branches grow about 70 degrees upright, so we continue to have to stake and tie the plants to get a nice upright form. The foliage is a little bit finer, less coarse than the regular strain of Glauca Hetzi. It takes us about eight years to grow these to saleable B&B size. In the 1940's and 50's we grew a lot of Ilex crenata Convexa, Japanese Holly, from seed. As is often the case, we found that the seedlings had many characteristics different from the parent plants. We selected two types that we thought were particularly attractive to propagate from cuttings. Since they were almost identical, they were grown together. One particularly severe winter, some of the plants were severely damaged, while others were unhurt. From then on, only this winter-hardy strain was propagated. It was named Ilex crenata Hetzi - Hetz Japanese Holly. It is a spreading plant similar to the parent Convexa, but with larger leaves. It is hardy in zone 6 and above, and is widely used in the US wherever the climate permits. The plant adapts well to shearing, and can be given a very formal look or allowed to spread out to its natural form. 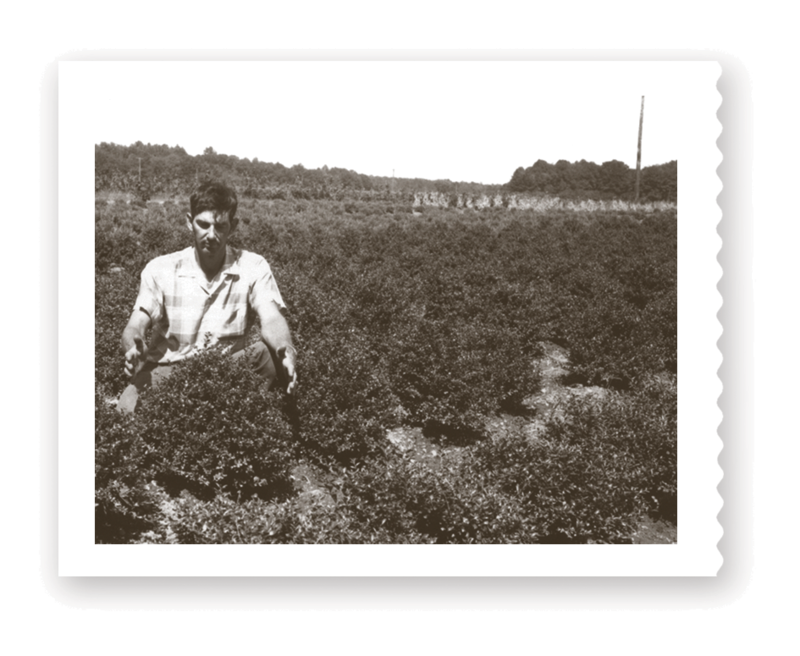 We continued to grow Japanese Holly from Convexa seed through the 1950's, and in the late 50's Neil Hetz selected some of the best upright growers and we began to propagate them from cuttings. Ilex crenata Northern Beauty was the best of these selections, and first appeared in our catalog in Fall 1965. Northern Beauty has glistening, rather small, round, very convex leaves, and grows naturally into a very broad pyramid with strong terminal central growth. It takes well to shearing and can be trimmed into a broad upright form, or into a globe or mound. We trim it into a mound to minimize winter damage above the snow line, which can occur during our harshest Lake Erie winters. Our most recent introduction is Taxus cuspidata Nova. We trace the history of this yew back to the mid 1970's, when Leroy Hetz took side-branch cuttings from a block of Taxus Capitata. Several unique forms came from this, including two similar columnar types that appeared promising. Of these two, one grew wider than the other and was in that way also unique from our established columnar yews. We continued to propagate this plant and trial it in the nursery and with customers in some of our coldest markets. The result was the Nova, which we have been selling for about 10 years now. It's a fast-growing, very winter hardy yew that has already become a favorite among many of our customers in colder climate zones. It has shorter needles than our other columnars and has a rich, dark green color that holds well through winter. Introducing new plants is a tradition that dates to the very beginning of our history as a family nursery. We are always tinkering and trialing new selections that we believe hold promise for the green industry, and thanks to our long history of success in this area, we're sometimes asked by other nurseries to test their introductions as well. New plants - they're part of what makes this business so rewarding and so much fun!